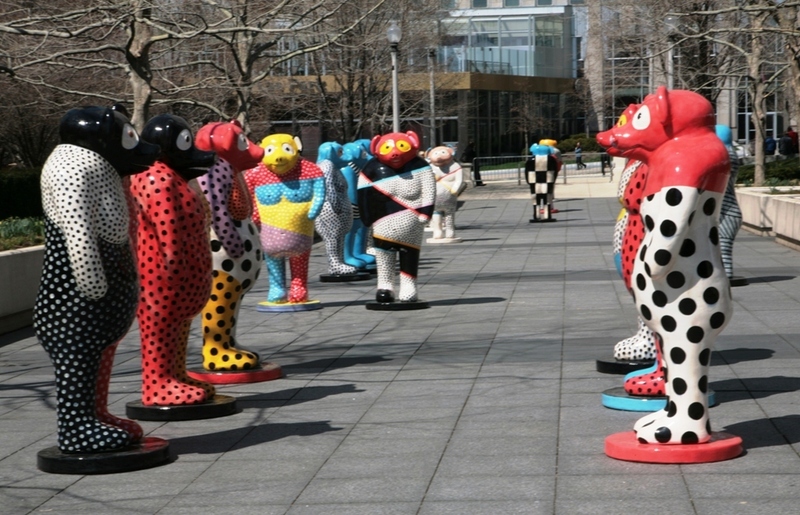 Sculptor Jun Kaneko's ceramic signature "Dangos" (meaning “rounded form” or “dumpling” in Japanese) is now on display in Millennium Park through November 3, 2013. 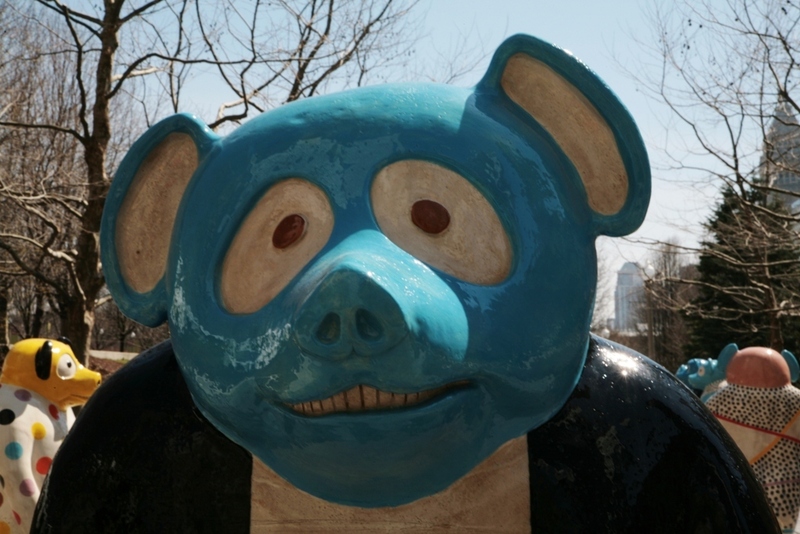 As a pioneer in the field of monumental ceramic sculpture, Jun Kaneko has played with scale and proportion drawing upon the myths and legends of the Tanuki figure (a symbol of fertility; in present day: prosperity and economic growth). The exhibition consists of thirty-five pieces of his most recent work — the largest measuring nearly nine feet in height and weighing more than 1,900 pounds, they are on display in the Boeing Galleries, from April 12 through November 3. Admission is free. Open Daily, 6 am - 11 pm. Jun Kaneko is a Japanese ceramic artist living in Omaha, Nebraska. The Legends, Myths and Truths project for Millennium Park was three years in the making that encountered a few technical problems along the way. The last piece of art was finished just 2 weeks before the Millennium Park opening. Jun Kaneko was born in Nagoya, Japan in 1942. He came to the United States in 1963 to study at Chouinard Institute of Art, in Los Angeles, California. He was attracted to the world of ceramics and became a part of what later came to be known as the Contemporary Ceramics Movement. His technical skills and tendency for pushing artistic boundaries have led him to extraordinary accomplishments in public art, set design and architectural projects. He has taught at universities all over the United States, and his work is featured in more than 70 museum collections. He has designed three operas since 2003 – including Mozart’s The Magic Flute, Puccini’s Madama Butterfly and Beethoven’s sole opera, Fidelio – which have been part of an artistic rethinking of classic operas. Jun Kaneko has resided and worked in Omaha, Nebraska with his wife, Ree Kaneko, since 1986. Would you like to get updates on new blog posts?